The Father says today, that I am rendering to you the double. I am blotting out the handwriting of trespasses against you. The disappointments of the past and the downturns in your situation caused by bad decision making are being erased. You are not a prisoner in life to past failures. Your life and future will not be dictated in terms of outcome by things in your past that you could have done differently. Forgive yourself. Stop beating yourself up over things you have done that didn’t turn out as you might have hoped. There have been times that you demonstrated significant lack of wisdom and got yourself in difficulty. There have been times that you shirked My word and failed to listen to the still small voice by which I would have spared you much heart ache. You are forgiven. Now forgive yourself. I know what you are made of, says the Father. I know that you are but dust and in many things you will falter, fail and cause problems by your own choices that could have turned out very differently. Just know that in the midst of things that plague you because of the past, that I am standing there extending forgiveness and deliverance. Do not listen to those who say I will not help you out of the trouble you created for yourself. Is there any other kind? I am here in the midst beloved. I am right there with you. I know the way through your personal wilderness and out of that difficulty and trial I will bring you. I will bring you out and it will not be My voice saying “I told you so …” That is not who I am and that is not what I do. I will teach you, guide you and above all comfort you until you come into a place where the mistakes of the past have been erased and all things become new and your life will be filled with rejoicing and joy beyond all your expectation, because I love you and have set My affection upon you for blessing and goodness above all things. Amen, What a word from the father,i receive it in Jesus name. Amen yes thank you Lord! I receive this!!! Thank you thank you thank you Father God. I receive this in Jesus name. Amen. Great word for the day ! Thank You Father for all the conformation!!!Glory!!! Thank you daddy God Amen. Timely, had someone pray double portions over me last night and this was written for me! Amen. Amen! I appreciate you Lord. Amen and thank You Father. Thank you Father you are so gracious and loving to me. I am humbled. Someone just gave me a word saying I was going to have many trials coming and to stay strong. 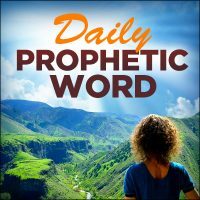 « Morning Light – March 29th, 2017 – Isaiah 53: Who Has Believed the Report?